For years motherboard manufacturers have been adding oveclocking features to motherboards. Those features and settings to squeeze every little bit out of your system. In the beginning, we were lucky to be able to run our 66MHz FSB (Front Side Bus) at 100Mhz. We were very lucky if our CPU would be stable with that big a jump, even luckier if the memory, GPU and peripherals could handle that increase in Front Side Bus. After that, motherboard manufacturers added features to let us crank our FSB up One (1) MHz at a time to squeeze the most out of it. Fast forward to today. Now motherboard manufacturers add settings to individually control every facet of your motherboard. Today many motherboards carry overclocking features. Even so called Gaming motherboards carry oveclocking features. But, one company has pushed it to it’s limit. Gigabyte has a series of motherboards exclusively aimed at overclockers. Several years ago, with the release of Intel’s Z87 Chipset, Gigabyte released several of these “Overclocker” motherboards. They were aptly name the GA-Z87X-OC and GA-Z87X-OC Force. They used the highest quality components to squeeze every ounce of speed your system could handle. 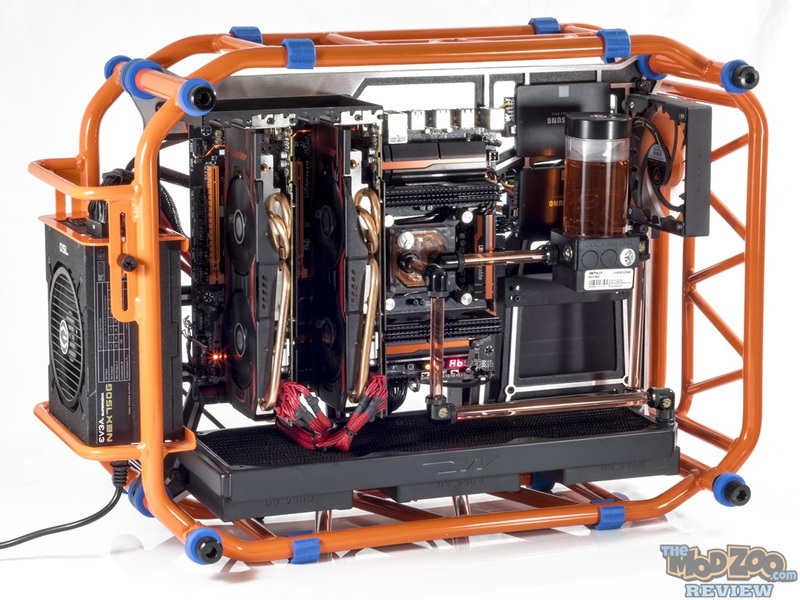 The Gigabyte OC Force dominated the overclocking community. For the record, I have several OC Force Motherboards, and love them dearly. Ramping up for the release of Intel’s newest chipset (X99 Express) Gigabyte has released a motherboard aiming at the top again. To show their prowess in the overclocking community, they have released the GA-X99-SOC Champion. A board that broke 9 world records just weeks before it’s unveiling to the press at CES 2015. The SOC Champion is a combination of show, and go. It has the killer Orange and Black theme that the Gigabyte Overclocking Series is known for. Plus, those high quality components to give you your chance at the top! Note : For DDR4 XMP 3400MHz, please update BIOS to the latest version. Please refer “Memory Support List” for more information. if you are installing two PCI Express graphics cards, it is recommended that you install them in the PCIE_1 and PCIE_2 slots. The PCIE_4 slot shares bandwidth with the PCIE_1 slot. When the PCIE_4 slot is populated, the PCIE_1 slot will operate at up to x8 mode. When an i7-5820K CPU is installed, the PCIE_2 slot operates at up to x8 mode and the PCIE_3 operates at up to x4 mode. The 4-Way NVIDIA® SLI™ configuration is not supported when an i7-5820K CPU is installed. Support for M.2 PCIe SSDs only. Only AHCI mode is supported when an M.2 PCIe SSD or a SATA Express device is installed. (M2_20G and SATA Express connectors can only be used one at a time. Available applications in APP Center may differ by motherboard model. Most hardware/software vendors may no longer offer drivers to support Win9X/ME/2000/XP. If drivers are available from the vendors, we will update them on the GIGABYTE website. GIGABYTE reserves the right to modify or revise the content at anytime without prior notice. Advertised performance is based on maximum theoretical interface values from respective Chipset vendors or organization who defined the interface specification. Coming up next ….. Page 2: What’s in the box.